Adding a tachograph interface to a brake tester can increase workshop productivity and generate extra revenue. Jason Kairies, Brake Tester and Tachograph Product Manager at Continental Automotive, explains how. The need to increase productivity is vital as fleets and independent workshops seek to reduce vehicle downtime and improve revenue. So, adding a wireless DVSA-approved tachograph calibration option to your new or existing brake tester makes perfect sense. 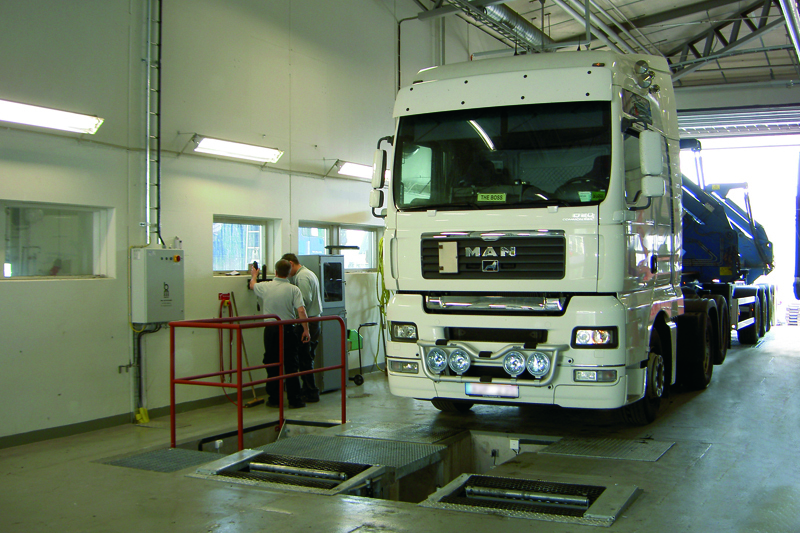 Vehicles are off the road for a shorter time because all the work required can be done in a single workshop visit – there is no need to pay a separate visit to a designated tachograph service centre for calibration, with the additional downtime that entails. 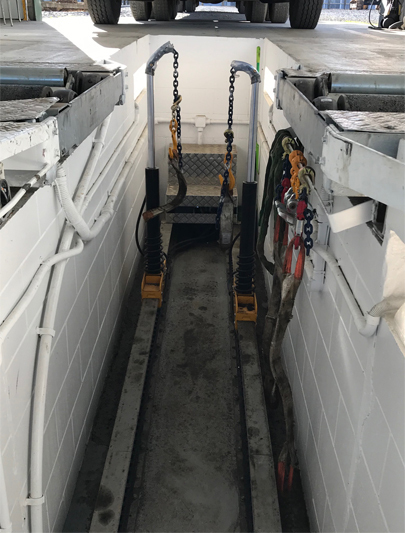 ATFs, independent workshops, or in-house workshops offering third-party testing facilities to other fleets will be able to offer a one-stop service. 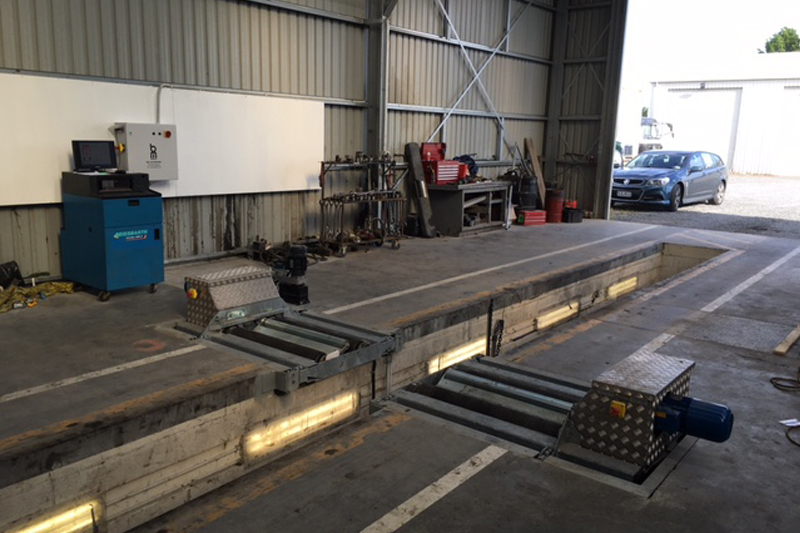 Adding a tachograph interface to an existing or planned brake tester bay saves valuable workshop space, investment cost and, in the long-term, time, because compliance testing becomes much quicker than previously. What modifications are required to the brake tester? Continental VDO’s tachograph interface is simple to add to both new and existing brake testers, and works with all makes of digital tachograph heads. All that is needed is a new sensor and a new middle roller on the brake tester, in order to accommodate the tachograph option. How is the tachograph calibration done? The tachograph calibration itself is carried out with a dedicated tablet that is easy to use and guides the technician seamlessly through the calibration process. The tablet is paired wirelessly via a Bluetooth connection with the tachograph roller on the brake tester unit. Calibration times are reduced – the technician can check the W and L factors on the vehicle in less than two minutes. The W and L factors are critical for correct calibration: W is the number of turns or impulses from the vehicle gearbox over one kilometre, which will calculate the correct road speed; L is the circumference of the driven tyre measured in mm – if the L figure changes it will influence the W figure. This approach creates a safe work space with no trailing cables across the workshop floor. It’s a healthier working environment for technicians too, with reduced noise – calibration can be done with the wheel speed at 3Kph, so there is no need to run the vehicle engine. Once the calibration of the tachograph has taken place, the information/results are then written on to the workshop card, and the technician can create a calibration record sheet and plaque direct from the tablet to print them off. What official approvals are needed? Each workshop will need to be approved by DVSA as an Approved Tachograph Centre. Continental VDO offers a free consultancy service: one of our dedicated regional managers can walk the workshop through the application process and advise on what parts, test equipment and training the customer will require. Technicians new to tachograph calibration will need to attend a four-day DVSA-approved tachograph training course, which Continental can provide.